Good morning, Suzanne of Cricut Crafting Grammy. We are back on Thursdays to explore different themes, elements, techniques or embellishments. This week we are using a sun on our tags and ATC's. There is no restriction on what tools are used to create these tags or ATC's. It could be a die cut machine, punches, stamps, etc. The sky is the limit. However if the Design Team uses Digis or SVG's they will be from Paper Crafting World. As a side note, if you don't know what an ATC card is, we have a definition at the bottom of our post. So let's see what all the designers have in store for you today. I hope you are like me and look forward to this post each week. Remember to click on the links to see more info about each project. 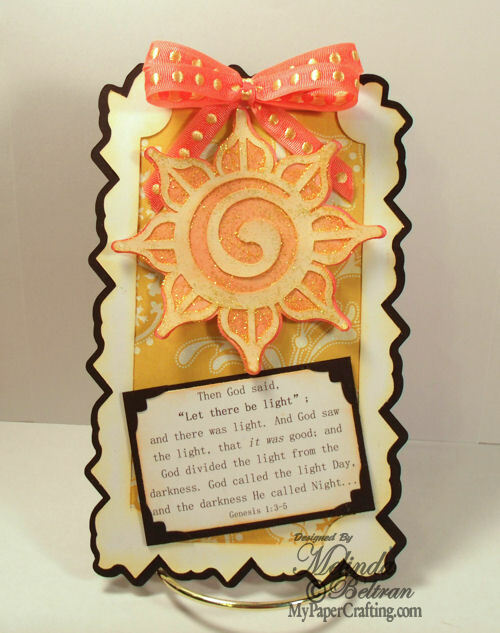 We hope you were inspired to put a little "Sunshine" on your next project. Digi Desserts Fridaze Link Up and another FREE Digi! Fabulous tags ladies!! Melin love your tag!! Great tags & ATC's...pretty tag Melin!